At Democracy Prep Harlem Middle School, scholars explored changing the world from multiple perspectives. They hosted a career day panel were 15 professionals with a variety of experiences shared their stories, interacted with the community through a walking tour of Harlem, put on mock demonstrations for their classmates to encourage awareness of police brutality, urban education, and gentrification issues. 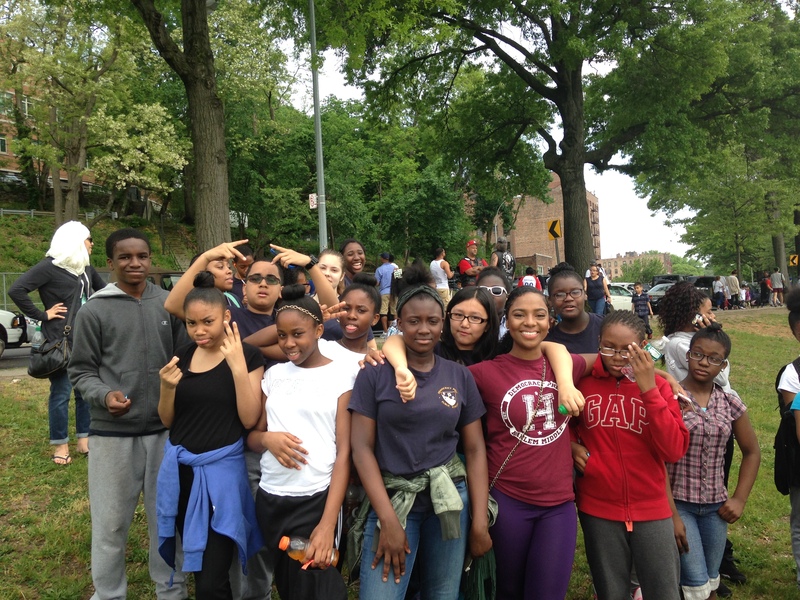 And on May 17, 40 scholars, and 5 parents walked Van Cortlandt Park in the Bronx to bring awareness to Autism. At Harlem Prep Elementary, our young scholars made presentations about homelessness for their Change The World week projects, in addition to taking on some fun activities for their year-long “Go Green” initiative. 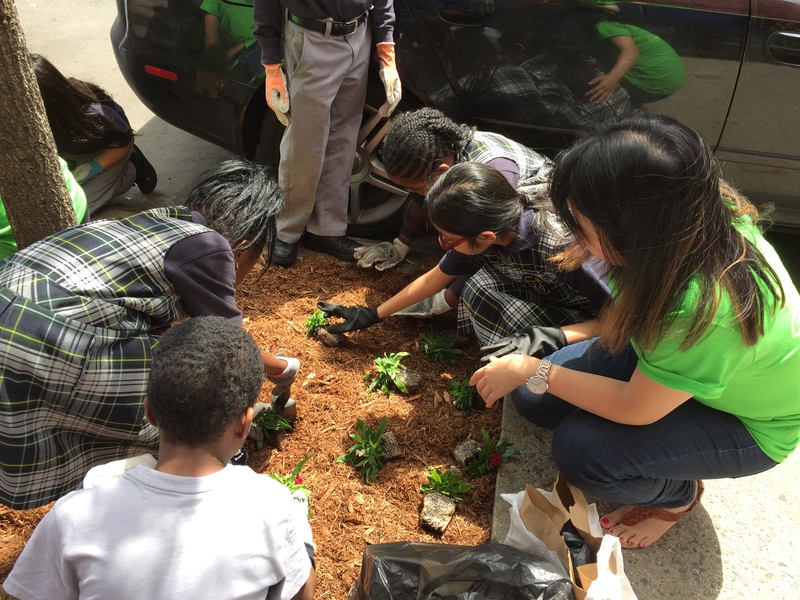 The scholars also connected with representatives from Trees New York, who taught scholars and their families about taking care of neighborhood trees. The scholars at Harlem Prep Middle launched a social campaign, “#IMatter” that focused on opening the lines of communication between police officers and scholars to build positive community relations. 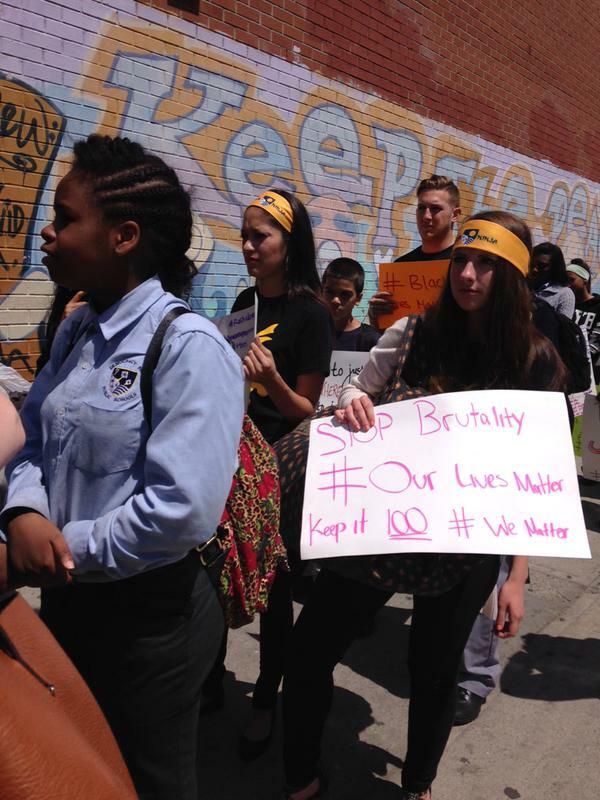 They took to social media to express their reasons why everyone matters regardless of personal background information, and the eighth grade HPM Pride Steppers staged an outdoor demonstration across from their local police precinct. They combined stepping with spoken word to deliver a powerful performance.